So, it’s taken a couple of weekends now but I’ve finally moved out of my office and started re-decorating it so our little man can have his own room. 😉 We’ve now managed to get it ready for being skimmed which involved striping the wallpaper off the walls and PVC bonding the old lathe and plaster walls. 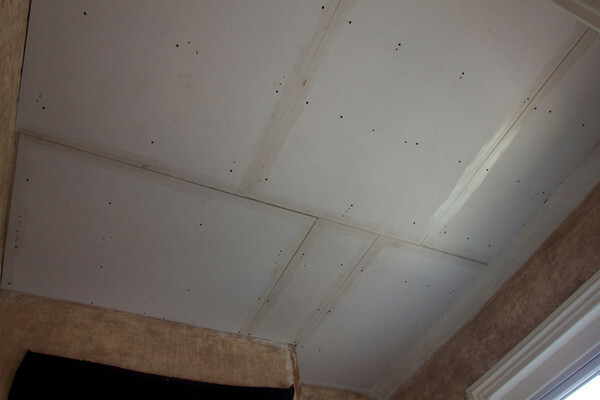 However the ceiling had cracked so required plaster board being screwed into the joists to provide strength before the skim being applied and to avoid the old lathe and plaster ceiling from falling down on our little person. I also added a new single spur socket and buried all the sockets in the room into the walls. 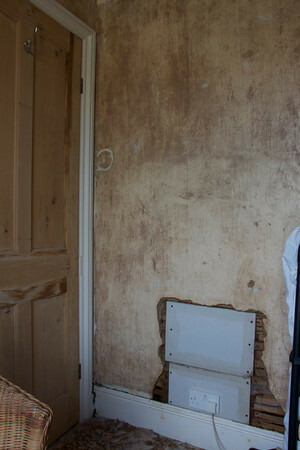 However with the stud partition wall, did require using some plaster board as the plaster had come away from the wall. Just got to sort putting steal into the loft and the new joists before we can think about getting this room skimmed.